Teepa Snow is an internationally-recognized dementia care expert who helps communities, organizations and individuals better understand dementia and how to care for individuals with brains that are changing. Her approach to dementia training and care is taught around the world and is altering the way people view dementia and other degenerative conditions of the brain. Teepa’s unique mission is to help elder care professionals and families better understand what it feels like to live with dementia or other neurodegenerative condition. She wants people to start thinking of dementia as an issue involving structural and chemical changes in the brain, rather than a memory problem. Older, more traditional approaches to dementia care involve trying to orient the the person around the current reality, which is largely ineffective for someone who has a changing brain. Teepa’s Positive Approach to Care (PAC) focuses on teaching people how to best relate to someone whose brain is changing. The program focuses on communication and interpersonal dynamics and was developed through extensive medical research, education and hands-on caregiving experience. Teepa’s training gives caregivers specific skills and techniques to help them better care for someone with dementia and help them lead the best life possible. As highlighted previously in an article in the Philadelphia Inquirer, Teepa has a long relationship with SageLife. Her approach includes four modes of comprehension with specific techniques and strategies, such as encouraging people to reminisce. PAC emphasizes techniques to help draw out things that the person still cares about, despite their changing brains. 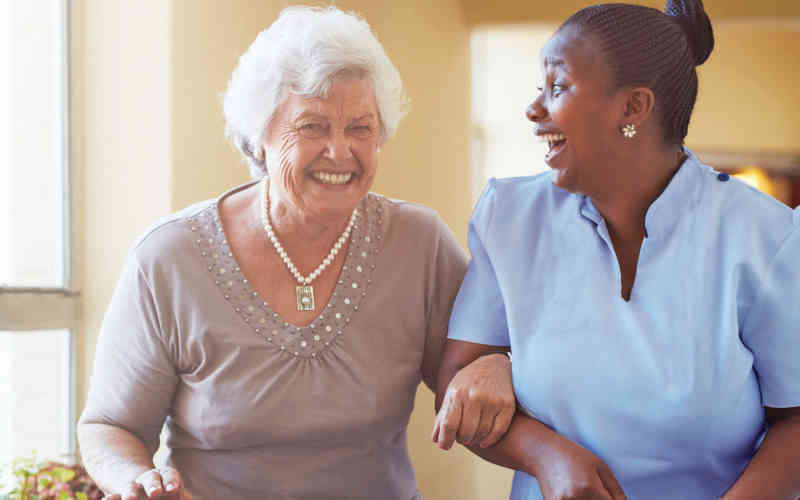 Teepa’s training sessions have helped caregivers shift focus from more tangible caregiving tasks such as feeding and bathing, to interpersonal skills to enhance relationships with residents. This more person-centric approach has been shown to result in happier residents who experience lower stress and less agitation. Kyffin Grove’s Director of Nursing Patrick Jajua and Life Enrichment Director Joyce Coleman are both certified in the PAC method for dementia care. In a recent training session at Kyffin Grove, Joyce and Patrick divided team members into pairs to practice techniques for caring for residents who are living with dementia. Kyffin Grove employs a holistic approach to memory care that focuses on meeting the individual where they are now rather than on the cognition they’ve lost. Contact us today to learn more about our Positive Approach to dementia care.